A totally wire-free CCTV cameras are becoming a trend these days. Aside from convenience, they are pretty reliable too! And that is why many homeowners see the battery-powered wireless security camera as their next purchase. However, things may get tricky and challenging once you try find for the best one. In fact, over tens to hundreds of brands offer this kind of security camera. So, if you are having problems in searching for the right fit for you, this post may help you! Just like any product on the market today, there are several factors that affect the overall quality and functionality of the product. And the same is true for battery-powered outdoor wireless security cameras. So, without further ado, these are the factors that you must consider before buying your battery-powered outdoor wireless security camera. All kinds of security camera must be able to provide its users a high definition and clear quality of image and video. It is not rocket science at all. Ensure that you are choosing a battery-operated outdoor wireless camera that can assist you in your views. And since you are dealing with the outdoor environment, lighting can largely affect the overall quality of the output. Hence, you must make sure that your chosen security camera will still provide you with effective results. Most of the entry-level wireless security cameras of today feature a 1080P full HD of video resolution. And that is already a great resolution rating for a camera. Since this aspect is focused more on the battery-powered outdoor wireless security camera, the night vision function is one of the most important factors to consider. Keep in mind that unwanted events like robbery and theft happen during the night time. So, it is only appropriate that this feature is dramatically attended to. If considering this feature, you should know that there are actually two types of night vision function in battery-operated outdoor wireless cameras. The first and most common type of all is the infrared type. When you choose the infrared night vision, this means that you can see the video output in a very clear vision even in total darkness. And most security cameras have this type of night vision function. As for the other type, it is called the starlight night vision function. This one is the more advanced type and it is yet to be widely established on the market today. In fact, there are only a few battery-powered wireless security cameras that offer this kind of night vision. When the starlight night vision activates, the camera makes the most out of the natural light in the surrounding. So, this kind of security camera can provide much sharper and crisp visions than the infrared type. The usual “wireless” cameras are not entirely wireless. This is because they would need a power source to function in the first place. And this is specifically the aspect that a battery-operated wireless camera omits in the process. Hence, it becomes fully and completely wireless. 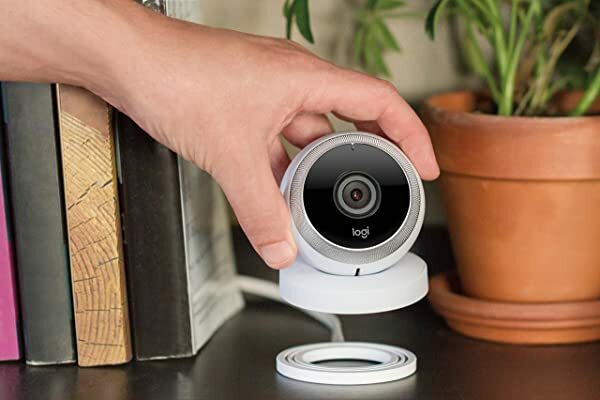 Before buying a battery-powered wireless security camera, you must consider this factor, especially it has something to do with the internet connection and wifi range. Try to understand and learn the limit of the range of the camera. This is because it will play a huge role in the positioning and area of installation. In addition, some cameras have a wifi module that can only work on 2.4 GHz. Others, however, can either work on 2.4 GHz or 5.0 GHz. So, you have to ensure as well the capacity of your internet connection. Keep in mind that these wireless cameras would not function properly if they are not completely and properly connected on the internet. One of the most important factors to consider when buying an outdoor battery-powered wireless security camera is the durability of the structure and build. This is simply logical because the reason you are choosing this type is because you intend to install in the exterior part of the house. And this is mainly the area where external factors and natural phenomena may largely occur. Accordingly, your chosen battery-operated wireless outdoor camera must be waterproof, shockproof, and weatherproof. In the recent times, most of the outdoor security cameras feature the IP66 or IP67 weatherproofing casing. These ratings are, most of the time, the most effective protection enclosure. And to further understand these ratings, it is important for you to note that IP stands for Ingress Protection. This is actually the rate of effectiveness of the enclosure of the camera against dust and water. The next two numbers are exactly the ratings that you must look after. The first digit is the rating of protection against dust and dirt. As for the second digit, this is the degree rating of protection against water and moisture. And the higher the value of the digits, the higher the degree of protection. Aside from the features stated above, another important factor that you must consider is the battery life. And this is just as important as the other features given. This is because, without the battery, all of these won’t work. And having an ineffective battery will just ruin the whole point of having a security camera. On the market today, you would see a lot of battery-operated security camera products that claim to provide 6 months up to 1 year of battery life. Some of these products are true to their words. Others, however, are just seen as a marketing plot. In fact, some would only last for a week or two. And you should be mindful of these brands and names. But even so, the best way to resolve the battery lifespan issues is to actually have a set of spare rechargeable batteries. It is important to always have a backup. Apparently, some security cameras would drain the batteries much faster due to the much-advanced features and functions. Hence, it is always practical and wise for you to have a readily available backup set. Wireless security cameras of today usually have their own dedicated applications. These smartphone applications are apparently the platform where the cameras are activated and configured. Also, this is where the videos are stored. Users are also allowed to have live feeds using the said platform. Now, when buying for the best battery-powered wireless security camera, make sure that the product comes with a great and efficient dedicated application. It is because, most of the time, this is where some of the issues lie. There are dedicated applications that usually freeze and provide black screens to the users. And when these things happen, the point of having a security camera can be useless. In order for you to check the credibility and functionality of the application, you could download the application and try it out for yourself. Get familiar with all of the functions and settings. You could also choose to read security camera reviews online. And most of the time, they can be very much helpful in making your buying decisions. Once you purchase the most appropriate battery-powered outdoor wireless security camera for you, the next thing that you have to do is to place it on the area where it will best fit. And in order for you to make the most out of your chosen security camera, you should know the exact location where the camera is needed the most. So, here are some tips that you can check and apply if ever you are having a hard time locating the exact place to install it. The most vulnerable places or parts of your home are the areas where people could easily break in. According to the recent data gathered, these areas of the house are almost always located on the front porch, backyard, terrace and balcony, and side windows. But while they are deemed as the most vulnerable areas of your home, it will still depend on your own setting. So, it’s basically up to your own discretion. And if ever there are a lot of areas in your home that people can easily break in, then it is also wise for you to install security cameras in each of these locations. When you are installing your chosen battery-powered outdoor wireless camera, make sure that you place at a height where no one can reach it, especially it will be placed on the exterior part of your property. But even so, you must accordingly place at a height where it could still reach the subject. For instance, the face of a person or the plate number of a vehicle. Hence, you must measure the height properly because this is very crucial. Shading is also important. This is because you don’t want to apply direct sunlight on your security camera. Aside from the fact that intense heat may cause damage to the camera itself, the sunlight may cause interference on the output. In many cases, this actually causes the stripes and blurred lines on the visions. Also, you must check the shadow cast by the sunlight and the reflecting light that it causes. Neglecting to regard these matters may affect negatively the result of the output. The positioning and placement of your chosen camera are very crucial. Keep that in mind because it can either make or break the real point of your security camera installation. Although it can be quite challenging, this is very doable and achievable. Also, it is important for you to note that this aspect of camera installation is highly dependent on your situation and personal preference. Nevertheless, if you think you are not qualified enough to do it on your own, you may ask for assistance from the most appropriate people or services that will do the task effectively. At some point, there will be instances that your battery-powered wireless security camera will be vulnerable to theft and vandals. But while these events may happen, they are largely preventable. And the best ways to prevent these horrors from happening is to actually take precautionary measures to protect the camera. But, how would you do it? In relation to the above-mentioned subject, the placement and positioning of your chosen camera play a huge role as well in the safety and security of your camera. When your camera is installed in an area that is out of reach, it can be pretty hard for anyone to do anything with the camera. So, aside from the effectiveness and reliability factors, the safety and security aspects are also tapped when you consider placing your camera in its proper position. To further enhance the overall safety and security of your camera, you may choose to place in an area where it is undetectable. 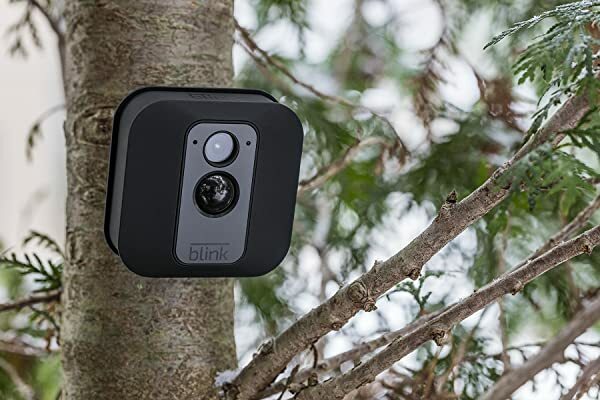 Some homeowners and installers would choose to place the battery-powered outdoor wireless security cameras along with the plants and bushes where the camera can function undetected. Apparently, this is a great way to protect the camera from theft and vandal. Plus, you are enhancing further your safety and security. There are other homeowners who use their respective creative sides in hiding their battery-operated security cameras. And you may want to touch that aspect too! Although hiding your camera in plain sight is a great option, there are other users who do not want to have their cameras installed this way. And this is okay as well. But instead of using magnet clips to hold the camera in its position, say – on the foundations of your patio, try to opt for the sturdy mounts. These camera mounts are, in fact, much more complicated to disassemble than the magnet clips. And surely, anyone who plans to rob your battery-operated security camera will think twice. 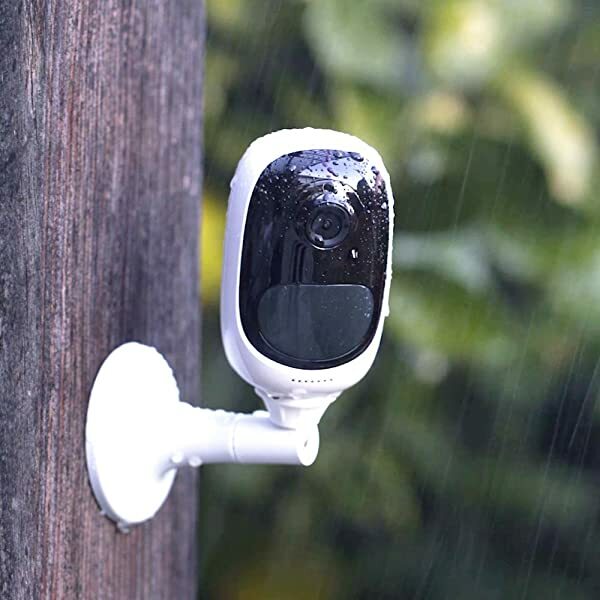 If you are to look for additional accessories for your battery-powered outdoor security camera on the market today, you will see that there are quite a lot of available protective accessories to choose from. These kinds of accessories are not entirely necessary, but they can be very helpful in keeping the camera safe from theft, vandal, and other harmful factors. One great example of this is the camera skin that is quite becoming more popular today. It is seen that many homeowners and security camera users are utilizing these kinds of accessories for protection. Also, an additional protective housing can be a great solution as well in keeping the camera safe and sound. It is very important that you also take good care of the battery-powered outdoor wireless security camera that you have chosen. Besides, these products are not entirely cheap. A battery-powered indoor wireless security camera is as important as the outdoor types. But while they are both essential additions to a home security system, there are certain features that an indoor camera has that are much fitting to provide safety and security inside the home. So, it is quite safe to say that, at some point, there are also other features found in an indoor type that are not found in an outdoor type. And when you are choosing or looking for the best one, you have to consider these features along with the other factors that affect its overall quality. The market for battery-operated indoor wireless security cameras today is getting bigger and more competitive. In fact, it is seen that 3 out of 5 homeowners today are using indoor security cameras inside their homes. This is also the reason why you would see hundreds of variations of this product. And with these things at hand, it is only wise and practical that you consider and regard first the factors and features that may affect your overall buying decision. Similar to the outdoor types, the camera quality of an indoor type of battery-powered wireless security camera is also an important factor to consider. But while it is quite a necessity already for the outdoor types to possess a 1080P HD resolution rating, it is not entirely required for the indoor ones. In fact, there are still some indoor security cameras of today that feature 720P HD video resolution. And this is okay. Due to the enclosed area inside the property, it actually lessens the percentage of marginal error to having a blurry and unclear video output. But even so, you are still free to choose an indoor security camera that can provide up to 1080P resolution. So, this aspect is entirely up to you. Nevertheless, you should still ensure the quality to make your purchase worth it. Most of the battery-powered indoor security cameras of today have IR LED lights. And these are the responsible ones for the night vision feature of the camera. So, if you want to have a camera that will allow you to see the footages clearly even in total darkness, make sure to get a camera that has an effective night vision feature. The most acceptable and decent range of distance for a night vision feature is rated at 20 feet up to 100 feet. Also, unlike the outdoor types, the battery-operated indoor cameras are not entirely equipped with the starlight type of night vision function. The motion detection feature is also an essential factor to consider when buying an indoor battery-powered security camera. Although this feature is also seen in most outdoor types, they are deemed as a much useful feature for the indoor ones. When you install a camera inside your home or property, one of the things that you are surely after is the motion that happens in the area. Thankfully, this kind of feature will save you a lot of time, storage, and power since you no longer need to set the camera to operate for 24/7. Through the motion detection feature, it will only notify you when a certain motion is detected. Also, you can configure to set an alarm. Hence, this factor is very important. If you are choosing an indoor type of battery-operated security camera, it is very important that you pay attention as well on the dedicated application. Just like the outdoor types, you will need this in order to configure, set, and maintain the camera. Also, the notification and alarm from the motion detection feature are sent through this platform. So, you can largely access your chosen camera through the dedicate application. Accordingly, when the dedicated application is not effective and reliable, it can be very messy and useless. When checking for the reliability and quality of the dedicated application, make sure to try the application personally. Also, try to get in touch with the specialists and enthusiasts of your chosen battery-powered security camera. Certainly, they know a thing or two about the issues and advantages of this feature of the camera. Durability is also an essential thing to consider. As mentioned, security cameras, in general, are not really a cheap purchase. Although there are brands and manufacturers that offer a very cost-effective and inexpensive package deal, you will still shell out a few tens and hundreds of dollars. And you certainly, you do not want a camera that can only last for weeks or months, right? In checking the durability of the product, the first thing you need to know is the materials used in the construction. Does the camera use a steel or plastic casing? What are the main materials used in the casing? Questions like these may help you learning the durability of the camera. Keep in mind that indoor cameras do not necessarily feature the weatherproofing applications. So, it is very rare that for you to find an indoor type of battery-powered security camera that has IP ratings in it. But even so, there are still those brands and manufacturers that feature waterproofing and shock-proofing applications in their respective indoor cameras. Indoor security cameras are typically portable and compact. They are usually much smaller than the outdoor types. And this is all because of ergonomics and appearances. For sure, you don’t want a full-sized security camera mounted in the walls of your living room, right? Whether it be for aesthetic or functionality purposes, battery-operated indoor security cameras are normally small in sizes. And this is a factor to consider as well, especially if you are the type of person who is meticulous when it comes to the overall finish of the product. Nevertheless, this aspect of the product is, in some way and somehow, largely based on one’s personal preference. The battery life of the camera is one of the top priorities when choosing and buying an indoor type battery-powered security camera. Keep in mind that these cameras’ main and only source of power is a battery. So, you would really need an effective and reliable battery life. Although the batteries of these cameras are almost always rechargeable, having only one set of them is not really ideal. And this is because every time that you get the batteries to charge, the camera will be of no use to you. To make things worse, some of the batteries can only last for a week or two. Accordingly, this is a real inconvenience on your part. So, to avoid these kinds of scenarios, make sure that you get a camera that has an effective set of batteries that can last for months up to years. Also, it is very much recommended for you to have a spare set of rechargeable batteries. So that every time that you will recharge the batteries, your cameras can still work effectively. 5. Why Pick Battery Operated wireless Security Cameras? Now, it is a common notion that when people say wireless security cameras then the first thing that comes to your mind is that these cameras must be 100% wireless in all departments. But that is not true as wireless here means the mode of transmission and not how each camera draws power. There are a lot of wireless cameras in the market that uses wires for powering them up, but we are more interested in discussing the battery operated wireless cameras here. They are the talk of the town and have been a people’s favorite because of the various unique features that they offer to the customers. Therefore, it will be right for us to take a look at the unique features that set it apart from the traditional wireless security cameras. Battery powered wireless security camera is the ones that do true justice to the name ‘wireless security cameras’. They are gaining steady popularity among the masses because of this particular feature as this is something which is very rare to find. With these cameras, you can be sure that there is no question of wires as their primary source of powering up is from the batteries. So, all you need to have to make them work are the batteries that need to be charged properly from time to time which will set you for unending video feeds day in and day out. This also means that they do not need any electrical power outlet within its vicinity which can only be good news. Hence, your days of getting tangled between wires are over thanks to the battery operated security camera. One of the biggest advantages of getting security cameras is that you will be able to keep an eye on the entire house. This is why you always need to make sure that the cameras are placed strategically so that this objective is achieved. But this becomes difficult if you have to plan the positions of the cameras based on the electrical outlets of the house while you tackle with the wires which are the case for most security cameras including some wireless ones. But with the battery operated security camera, you can rest assure that you don’t have to think about this issue anymore. You have the independence of placing them anywhere around the house including outside of the house. This is one of the reasons which make them a top choice for people who want to keep their homes, garages, patio and every inch of the house safe. Moreover, in such cameras, you have the option of simply mounting them on the wall without drilling holes as many of them use magnetic mounts. The third point of discussion as long as features are concerned is the setup. It must be said that setting up the battery operated wireless camera is really hassle free. In most cameras you need the basic technical know-how about wireless security cameras and that should be more than enough for you to get it up and running. Moreover, unlike other cameras where you need to install software to carry on with the installation process, here we can tell you that no such software is needed. All you need here is a router, broadband connection, and a computer and within 5 minutes your entire wireless network will be ready. It is also observed that many such wireless security systems don’t even use DVRs which are needed to store video feeds and instead such feeds are stored in the cloud or a particular gateway dedicated to a particular network which allows you to view them at any time and from anywhere. After checking out the features of the battery powered wireless security camera we can safely say that this can be a good buy. But to make sure that this is the one for your house we should also enquire about the pros and cons that they have. 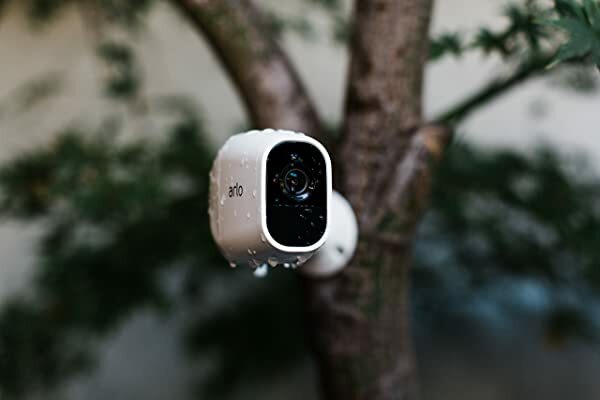 Weatherproof: as you know that these cameras are perfect for being placed outside, that is why many of them are designed in such a way that they can face any adverse weather conditions. Materials like IP66 are a top choice for these cameras that they make these cameras resistant to not only to rain but also to snow, strong winds, dust, etc. The cameras: most of these type of cameras are bullet cameras which mean that you will be able to place them anywhere around the house discreetly without any knowing where they are all the while you keep getting the crisp images which you can view as per you convenience. The batteries: the batteries are the lifeblood of the product so one thing that you have to make sure here is that they are charged at all times for the camera to send the feeds uninterrupted. We hope that after reading this review, you now know what makes them so unique. We have tried to incorporate every small detail that may assist you in deciding whether this is the right camera for you or not. So it’s time you check them minutely and deliver your verdict on the battery powered wireless security camera. My parents are looking to improve the security system on our home. They aren’t sure how to do it though and need some insights. The idea of having security cameras seems like a good place to start and can make a huge difference in the security in our home. I’ll have to have them read this and see what they think. I need wireless, battery powered CCTV where there is no cellular or internet coverage like in jungle. Only a few meter wireless range is required, also small size and weight are major considerations.